I just signed up for a friend’s 40 day fitness/health challenge and she’d asked us to take “before” pictures so I did. Then I started looking at my actual “before” pictures from 10 months ago and it made me realize how far I’ve come and how much my focus and dedication has really paid off. Here is where I started: I’d just had my third baby and I didn’t want to buy a whole new wardrobe because I really like the clothes I have, so I knew I needed to do something to lose the weight and keep it off. And it had to be easy, because I’ve tried the hard way in the past, and I knew I couldn’t do that again. You can make small, healthier choices every day that get you closer to your goal. 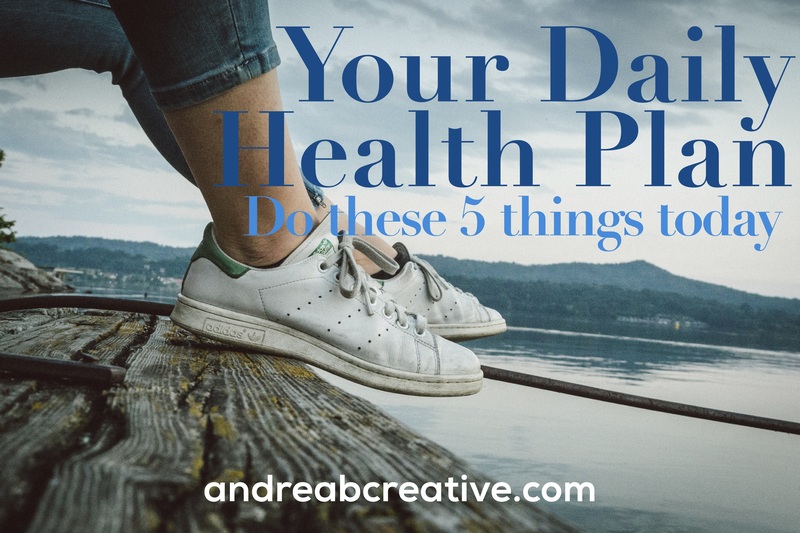 I’ve found that focusing on five small items each day has made a significant change in my health – even on busy days – and made me more focused, more alert and more content. I encourage you to try adding one of these to your daily routine and watch your health (and sanity) improve. Start your day fueled and ready to go – choose a lean protein, whole-grain carbohydrates and something fun for breakfast every day. I love breakfast, it’s my favorite meal of the day. Breakfast foods are amazing and it’s always the meal where I’m the hungriest (Break-The-Fast makes sense). I’ve heard some people say they can’t eat breakfast in the morning, but skipping breakfast is a bad idea. I know on days I don’t eat a good breakfast, I make bad decisions the rest of the day (often with both food and life). I typically eat two eggs, whole-grain toast a slice of cheddar cheese and tropical fruit & bananas. It’s easy when I don’t have to think about it and I know I’ll stay full for hours. Try different healthy options until you find what works for you – oatmeal is an option, even turkey sandwiches are good! – if it works for you, then it works. In addition to eating breakfast, I encourage you to plan your food for the day because it will help you make better decisions. When I start each day, I know exactly what I’m eating throughout the day (by category at least) and it saves me time, thought and hunger pains throughout the day. I try to eat 5 cups of veggies, 3 cups of fruit, 4 cups of lean protein and 4 servings of whole-grain carbs – I’ve noticed on this plan (I’m using the 21 day fix – the app is amazing) that I’m not hungry, I know what to expect and I’m losing weight (I had a baby in December, it’s the fastest I’ve lost weight ever). When you are thinking about planning out your meals, I encourage you to think about one day at a time so you don’t feel overwhelmed. Make your breakfast, pick healthy lunch and snack ideas and then think about what is best for dinner – even if you can only make progress with one meal or one day – you’re still making progress. When you have time, make a list of healthy foods you enjoy eating and start adding them to your diet (I eat two cups of roasted carrots every day, yum and healthy). When I spend time doing things I enjoy, I find that I’m more productive with all things. If you schedule it as an appointment you’re more likely to do it. Even if you just have 15 minutes to spend, I encourage you to plan something you like to do today. My favorite right now is front-porch sitting. Even 15 minutes and I feel like a new person. Find it and do it today. Find ways to get out of your seat and move every chance you can. I try to schedule meetings in other people’s offices, I refill my water bottle on the main floor of our building (I work on the third floor), I always take the stairs, and I park far away from many stores. All of these help me add extra steps to my day and get me closer to my goal of 11,114 K steps per day (5 miles). I also schedule workout time 5 days a week (because this is what I enjoy). Sometimes it’s my lunch hour, sometimes it’s after work and sometimes I have to wake up really early to make it happen – but adding it to my schedule means I know I have time and I know I’m doing something for me. Sure, it sounds like a punishment for a toddler, but it’s a saving-grace for adults. I can tell when I’m too tired, too hungry or too stressed to deal with something right then. And I’ve said before, “I need to step away for a bit.” I’ve taken time-out naps, walks or time-out snacks (healthy snacks, of course) and it does wonders for my decision making process, my sanity and my response. Try it – put yourself in time out every time you realize you’re not at your best. And do something you like to do. You need time to recharge and refresh, so you’re better on the other side. It’s not too late to make a healthy focus for the year. Start today. We stopped shopping sales. We’re buying more local, organic, fresh food than ever before. We’re trying new things (well, the kids aren’t fully on board with that one yet). We’re spending more money on food – and I think we’ll be OK with it. We’ve been testing the 100 days of Real Food challenge for almost a month – ours is a medium-paced, gradual transition instead of an abrupt change. But we’ve made big changes that I think are for the better and I’m not sure we’re going back. Here’s what I’ve learned about healthy eating: You can always do just a little bit better. What I noticed about my family’s healthy eating – we were slacking. We’ve gotten pretty busy with our jobs, our activities and our hobbies. By the time we’d get home each night, we were exhausted and wanted something easy and fast. That didn’t always mean it was healthy. So in our minds, we were still healthy eaters, but in reality, we’d really taken a turn for the worse. Time to get back on track. I’m very good at reading labels and looking through ingredients, but I’ve been reading two books that really changed my perspective on the food we’d been eating: In Defense Of Food and 100 Days of Real Food (although, I read the 100 days of real food blog first – I’m now reading the book). Stop looking at the nutrients in food – many of these have been processed back in. Look at the ingredient list and go for the real food with real ingredients. Changing my focus back to the food I was eating instead of the nutrients in the food really shifted my perspective. I read 200 blog posts in two days – I finally felt energized again with what I was eating and I knew that our family could make these changes too. 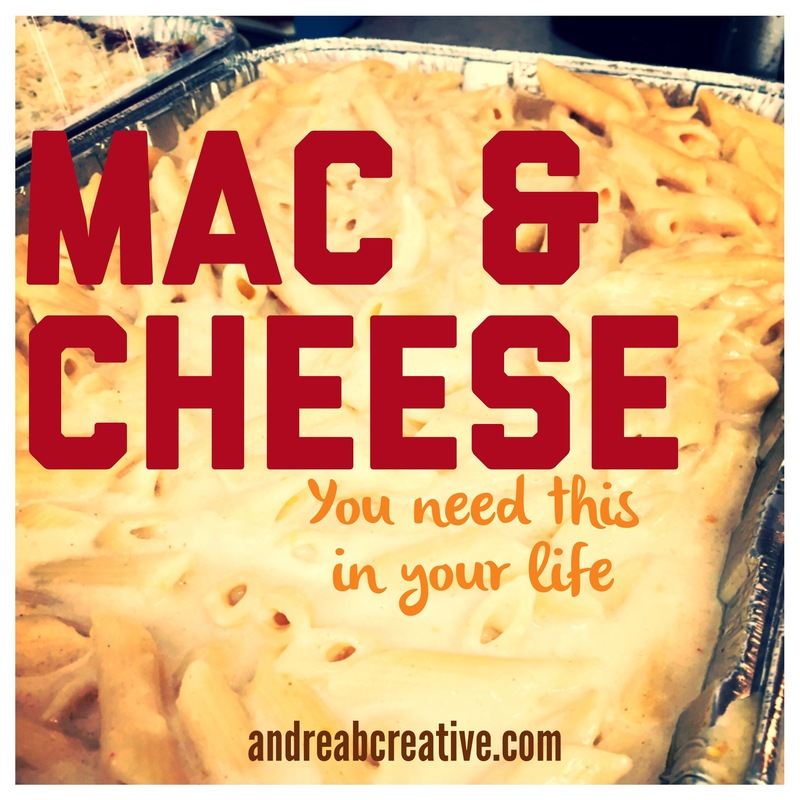 This is my favorite mac & cheese recipe. I’ve adjusted it quite a bit over the years to perfect it. I encourage you to try it and adjust it to fit your tastes. The results will be delicious! 1. Preheat oven to 350. Spray two cookie sheets with non-stick spray or line with parchment paper. 2. Melt butter in microwave, pour into mixing bowl and add sugar until well-blended. 3. Add eggs and vanilla, mix until smooth. 4. Add in oats, flour and baking soda and mix. 5. Add in peanut butter chips and chocolate chips and gently stir in to mixture. 6. Place drops of cookies on cookie sheets. 7. Bake for 10-15 minutes, depending on your oven strength and the crispiness of the cookies you like.